Coolpad Note 3 is one of the best budget smartphone for Indian users with so many features and fingerprint scanner too. Well most of us bought it on flash sale from Amazon.in and have been using it without any complaint, but yes we do need a rooted device to explore the most of it. So in this article we will learn how to root coolpad note 3 and install custom recovery like Philz Recovery/TWRP. 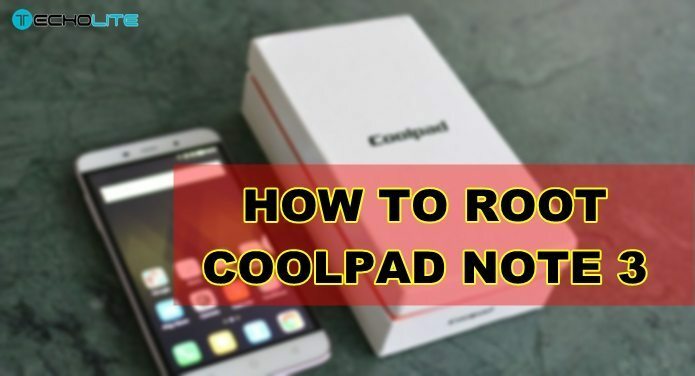 You can even root your Coolpad Note 3 without the help of any pc/laptop and can use the simple Kingroot application and Flashify to install custom recovery. To check if your Coolpad Note 3 is rooted, download root checker application from Google playstore and check it. My note 3 is not getting start after I tried to install twrp recovery by superSu can anyone help me please please please help me bro. Thanks, used kingroot and it worked. You’re welcome. Kingroot is the easiest way to root. Glad it worked for you. Kingroot or no other root application works with coolpad note 3 after marshmallow update.